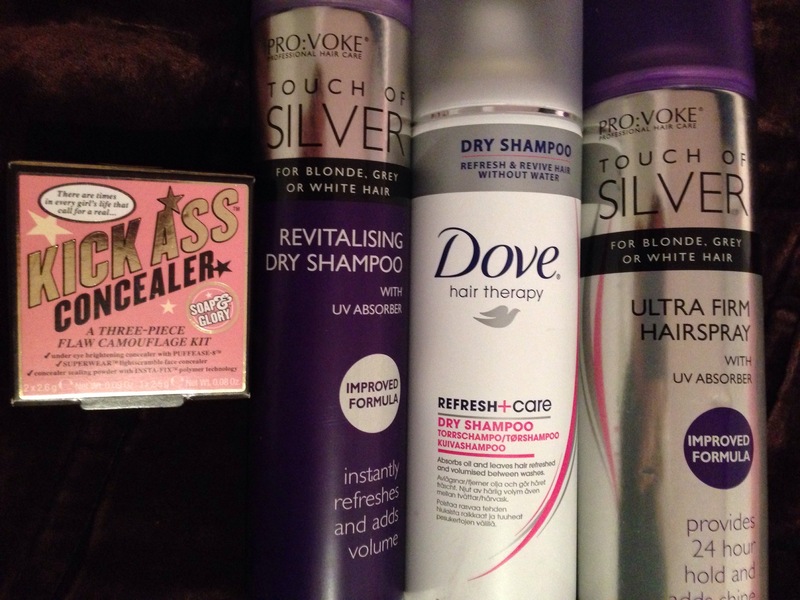 haul – The Beauty Spot. Yes it’s time for yet another haul! What is wrong with me! Well, on this occasion I was spending vouchers that I’ve had since Christmas, so I think that’s allowed! 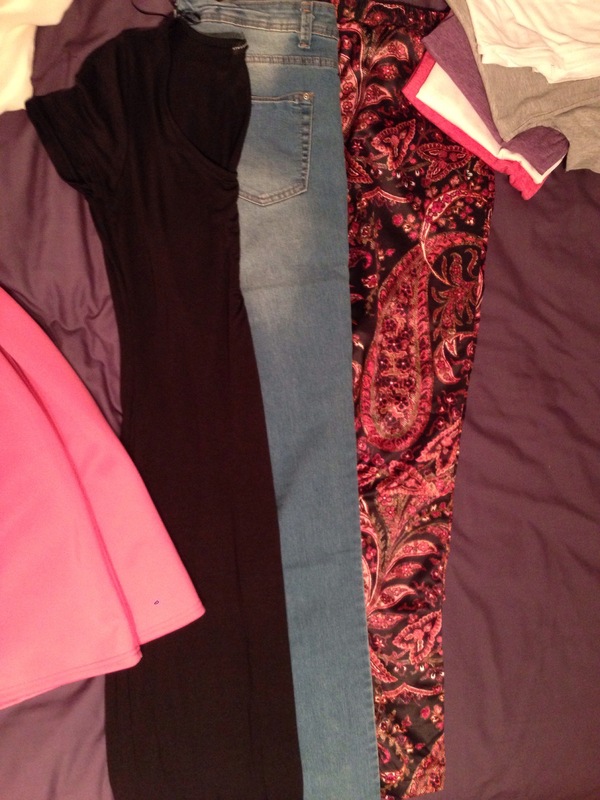 I’m pleased with everything I picked up, and hopefully these items will serve me well during SS14. 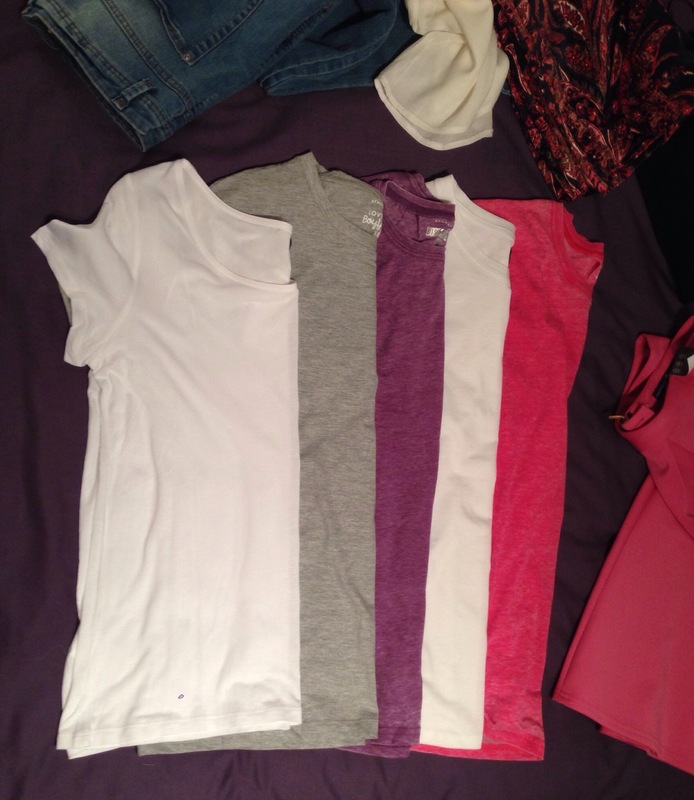 T shirts White tees are both from H&M, the others are distressed and boyfriend tee’s from Primark. Soft slouchy material is the way forward for me! Matched with a statement necklace makes all the difference. 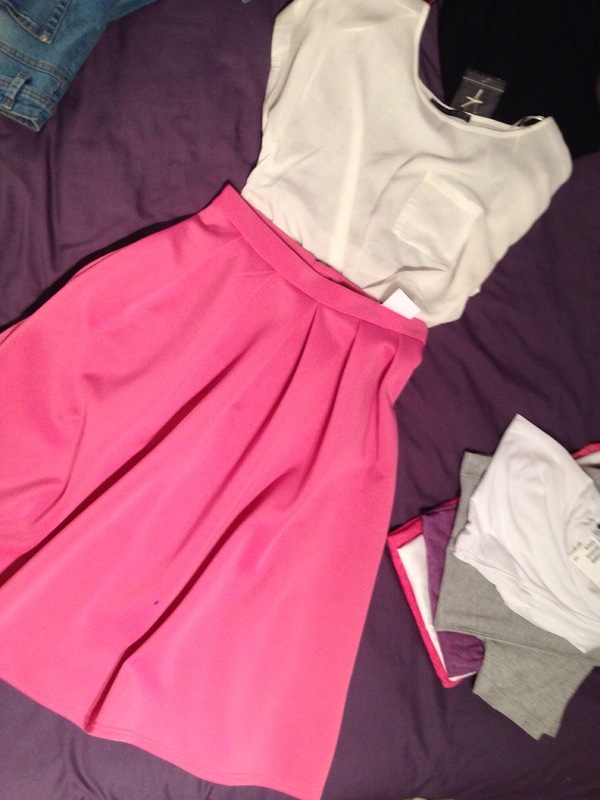 Pink A line skirt // White blouse A cute outfit I thought. The skirt could also be worn with a crop top, but on me definitely needs heels as the fabric is quite voluptuous so would need heels to balance out any of us with shapely behinds! Black Maxi Dress // Light Wash Skinnys // Silk Harem Pants The maxi is a simple capped sleeve column dress, really soft material, I will wear this when I’ve been spray tanned as it won’t rub any bits of it off. Light wash skinny jeans are to replace my trusty dark denim and black ones that I’ve lived in all winter! These pants aren’t actual silk but that’s the closest I can say to describe them. Great option for cooler summer nights with a simple black top and flip flops. 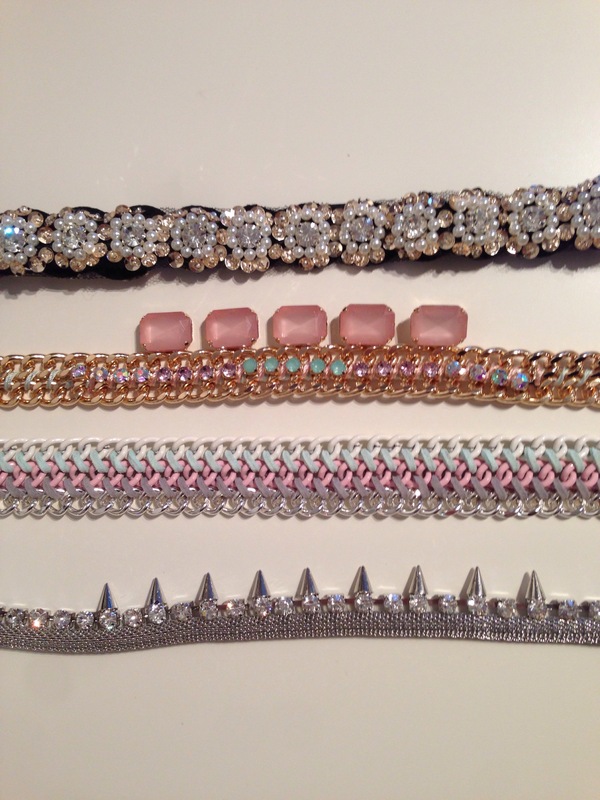 Statement necklaces x3 // Embellished head band The top item is the headband, bottom three are necklaces. The silver one is a replacement of one I broke a couple of weeks ago – massive fail – but the others I just thought will be really versatile during the upcoming months.